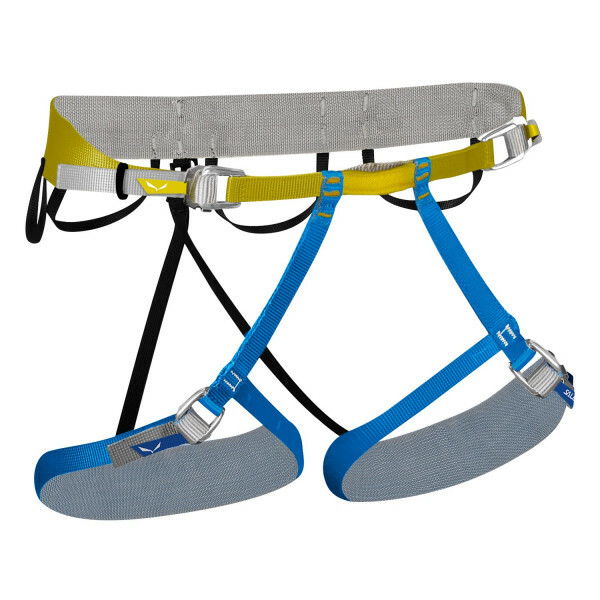 The Ortles is a lightweight, minimalist, compact harness for ski mountaineering, glacier crossing and high-altitude mountaineering. It features our variable-width webbing, which allows minimum width at the buckles in order to save weight, whilst wider sections at high pressure areas absorb the resulting forces and distribute them evenly over the entire harness, providing unparalleled comfort. Dual SALEWA Easy-Slide buckles at the waist provide high safety and are easy to adjust when adding or removing layers, even when gloved up. The leg loop buckles can be completely unthreaded to allow the harness to be put on without taking off your skis or crampons.